Our organic, local and seasonally grown products are full of love and commitment. Meals are cooked according to our tradition, simple though with a surprising taste. 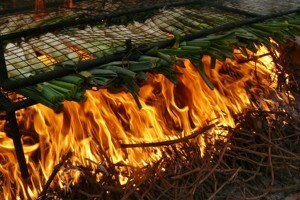 Our updated traditional cuisine is respectful with the products that we consume and towards people that grow them. 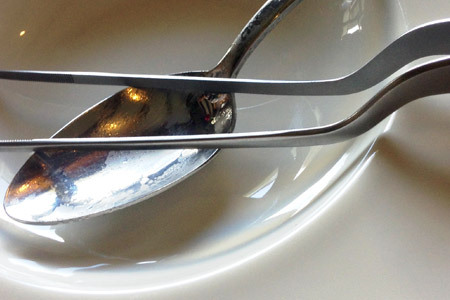 This sensory cooking will lead you to magical places within our beloved country. Upgraded tradition uses healthy products that transmit all the energy of the earth and the sea. QuintaForca’s team is formed by Xavi, Mercè and a large community of people who supply our organic, seasonal and local harvest. We provide the greatest expression of our earth on your table. An ephemeral walk along the nearest fields and the coast that will delight your senses without you moving from your seat. Tasting and sharing, enjoying and discovering, delighting and savouring. The doors of our home are open so you are the leading actor of today’s alchemy. Would you like to know what we have preapared? We buy clean, fair, tasty and the highest quality foodstuffs. Our producers are from Tarragona and the surrounding area, that follow organic criteria, avoid MGO and embrace sustainability in their products. 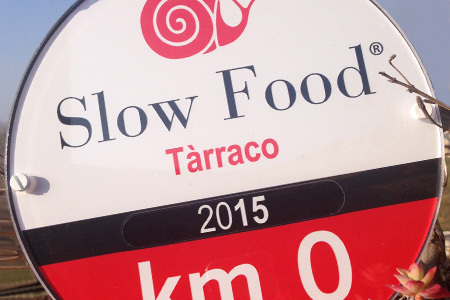 Slow Food is a way of approaching the world. It was born to value alimentation as means to reflect about the quality of life that we want. This is why Slow Food aims for the need of an equilibrium and respect for environment and people. We recover tradition. We offer the kind of party like the ones that we remembered at home. 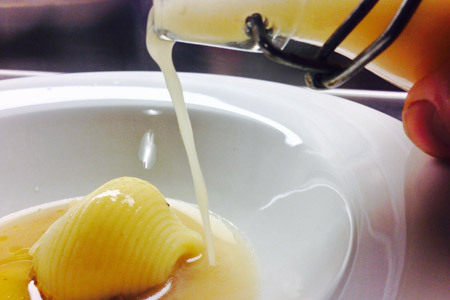 Only Saturdays and Sundays from mid january until Saint Joseph’s day. Previous booking is required. Discover what our calçotada offers. Tradition, respect and passion are synonyms of QuintaForca’s essence. We bring you the best of our farmes and fisherman to your palate. Give such experience as a present around a table, beverage and food alchemy. 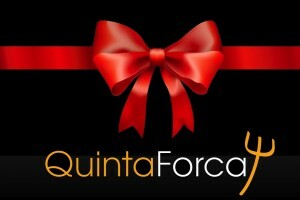 Make a surprise to someone and give as a present QuintaForca! Share some time with us in a rural surroundings with countless vineyards fields. In order to enjoy QuintaForca, previous booking is needed.